I start my day with thanks each day, when I light my lamp and pray. Then I step into my kitchen in anticipation of my first coffee of the day, a ritual that fills me with the warmth of my Mother’s love as I recall a lifetime of enjoying our coffee together. I feel infinitely thankful that my husband and I get to sit together and savor our steaming mugs, listening to music before we disperse to get on with our days. Yes, I miss my son, when I have breakfast but I am also thankful, knowing he’s busy with his day. After my husband leaves for work, I pick up my Gratitude journal and write in it. This is a refreshing start to my own work day and it inspires me to continue writing – and I do. My pigeons. Yes, from getting annoyed with them, I’ve grown to love them, their poop and all. They keep me company and I confess I talk to them. I am not sure they understand or care about what I am saying, but that doesn’t matter. Point is, it is fun. My camera. It is most therapeutic to walk around my area and click photos of mundane sights that always look unique and special to me. Cooking. Some days, the kitchen is my happy place where I experiment, get creative and feel thankful for the ability to control my health. The telephone and the internet. Hearing my son’s voice. The power cuts. Allowing me to spend time with people, sharing laughter, and in service to my community. So much more fulfilling than being parked in front of my computer. Digital can only bring so much pleasure. Books. Always thankful for books. Giving. The joy of distributing things and being rewarded with the happiness of those receiving, especially children. My flower lady. So thrilled she has expanded her business to include an extra cart with fruits. Drumsticks. My namesake who works in our apartment complex brought me a homegrown bunch. So thankful for the love and the chitchat that follows. Evenings on my terrace, walking, sometimes with a neighbor, followed by a stroll on the ground floor, watching the tots play, yelling and laughing. No sweeter music. A couple of recycling craft projects I am working on that I hope to complete next week. Join the Ten Things of Thankful Facebook Group! I agree that digital can only bring so much pleasure. It’s a part of the reason I’m actively looking for other hobbies that take me away from the digital world. That said, I do find the on-line world fills a part of my life that would be hard to fulfill completely elsewhere. Like all things, balance is the key. Balance is indeed key, Vanessa. But I am finding that I tend to lean on the non-digital side every once in a while, just to get that balance back! 🙂 Thank you for your lovely comment! Another lovely list..And we repeat some, they continue to have such meaning for us! Drumsticks…mmmm..I made some yummy Andhra curry with them the other day! True. In my routine, I trust! 🙂 And grateful for it. 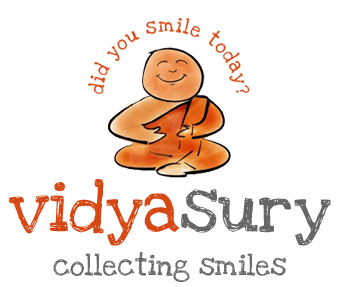 Vidya Sury recently posted…Is your extra weight holding you down? Sometimes what could be seen as a negative, actually is a positive, as in your example of power cuts. I just love you sooo much. How you observe the beauty in ALL living things. Always love reading your Gratitude posts Vidya, makes me realize over and over again that it’s the small, apparently insignificant things that actually lead to real happiness 🙂 So much positivity really! Nabanita recently posted…Just Another Birthday Story..
Lovely list and love the quotes, especially the Emerson one. I love to include quotes throughout my TToT posts too. 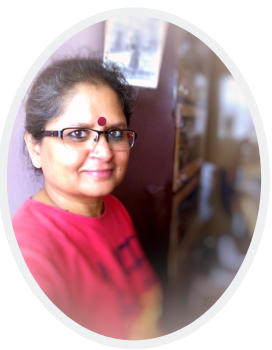 Vinitha recently posted…And off he goes..